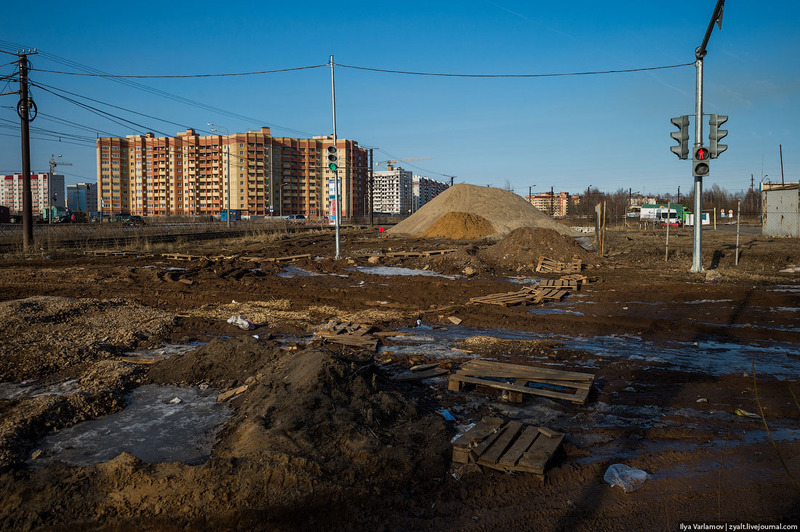 In 2014, Yaroslavl City authorities came up with the plan to construct a road at this place. Due to lack of funding, this idea stayed on a paper. However, traffic lights were given a green light. 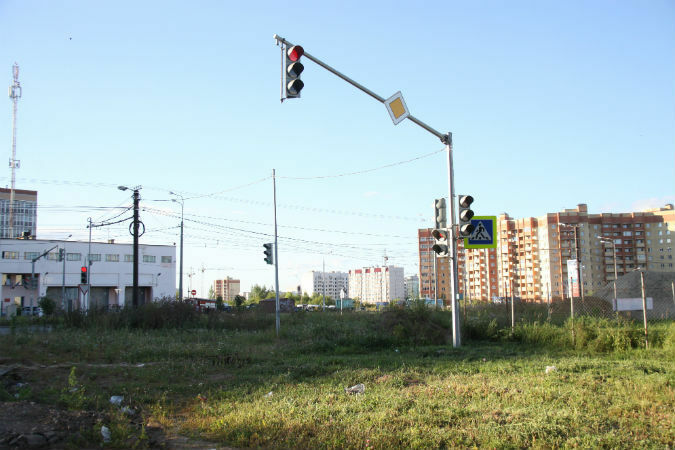 According to Russian media, the value of the one traffic light is about 2 million rubles ($31,110). In addition, the money from the city budget is spent to ensure that it is working. 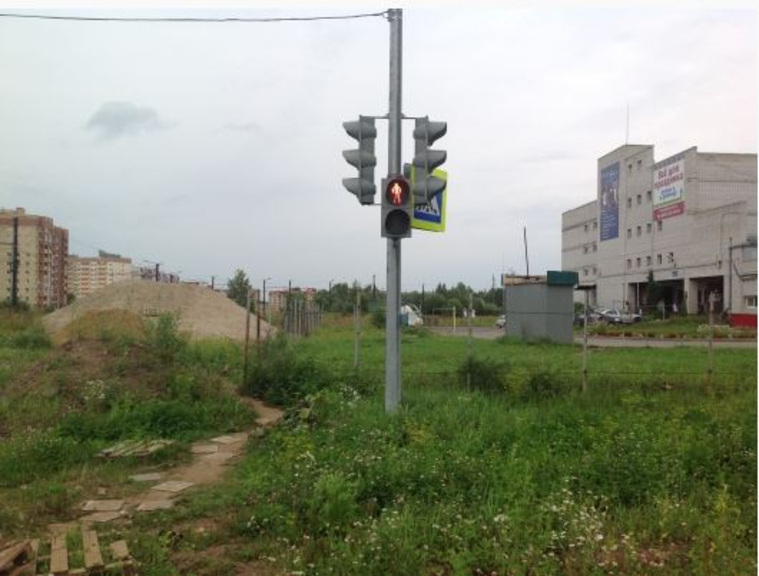 The traffic lights were placed on the spot, where crossroad of the proposed road supposed to be. But the construction stalled. Fearing that traffic lights will be stolen, authorities keep them powered up. Prominent Russian blogger, Ilya Varlamov, posted about this issue in March. However, only now it got major media coverage. 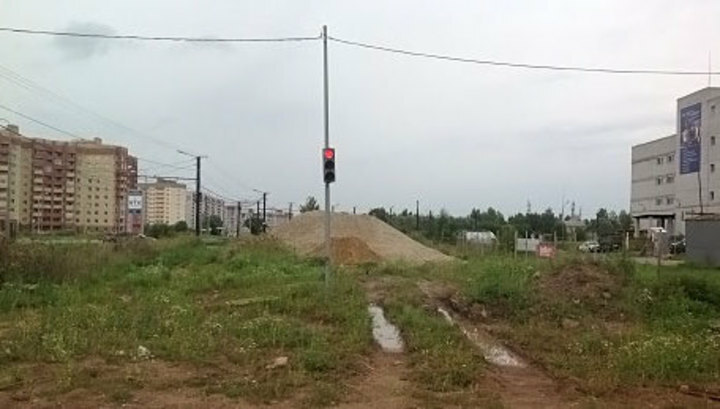 Traffic light on the unfinished road is a common practice in Yaroslavl, kp.ru reports.